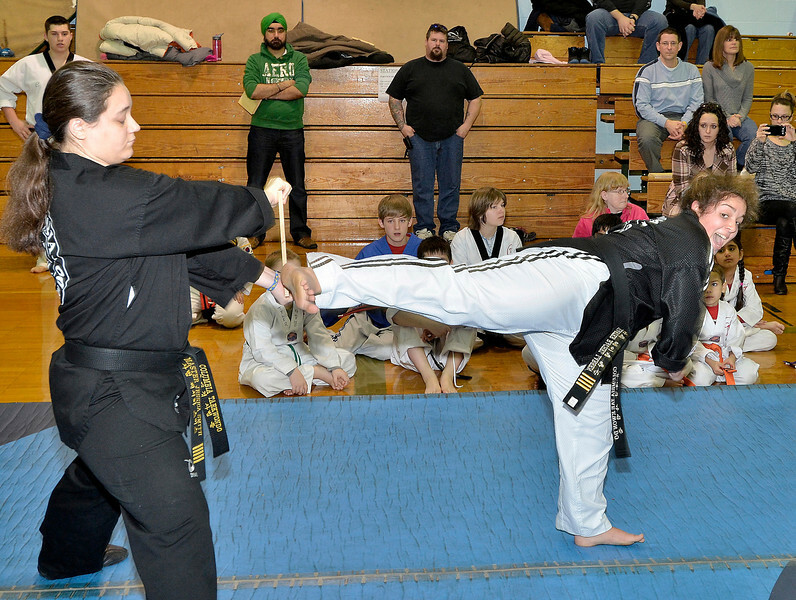 Mike McMahon - The Record, L-R Jessica Smith holds a wood board as Rachel Larsen kicks to break it, with the Columbia Tae Kwon Do demonstration. WinterFest was held at Goff Middle School, East Greenbush. Event encourages all students to become more civic-minded and involved in community events. , January 18, 2014.